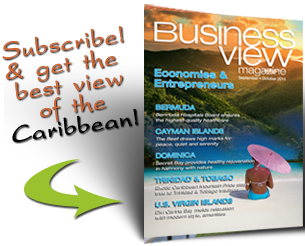 Business View Caribbean profiles The National Water Commission of Jamaica , the main provider of potable water supply in Jamaica. While it is not the only service provider in the country – there are a few private and quasi-governmental operations ongoing – the National Water Commission is charged with the responsibility of being the main provider of potable water supply, and the collection, treatment and disposal of wastewater services to the people of Jamaica. Today, the National Water Commission of Jamaica produces more than 90 percent of the country’s potable water from a network of more than 160 underground wells, over 116 river sources (via water treatment plants), and 147 springs. It produces 180,000 imperial gallons of potable water a day for over two million persons and supplies more than a half million of those persons with wastewater services, as well. Approximately 73 percent of Jamaica’s population is supplied via house connections from the National Water Commission and the remaining 27 percent obtains water from standpipes, water trucks, wayside tanks, community catchment tanks, rainwater catchment tanks, and direct access to rivers and streams. Approximately 30 percent of Jamaica’s population is served by sewerage facilities operated by the National Water Commission of Jamaica. This includes some small sewerage systems, utilizing package plants, which are associated with housing developments in various locations throughout the country. The disposal of the sewage generated in the remainder of the population is done through various types of on-site systems such as septic tanks, soak-away pits, tile fields and pit latrines, or other systems operated by other entities. 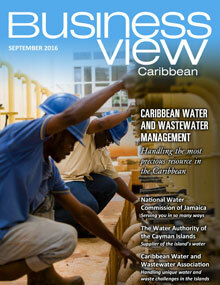 The NWC operates more than 1,000 water supply, and over 100 sewerage facilities, islandwide. These vary from large raw water storage reservoirs at Hermitage and Mona in St. Andrew and the Great River treatment plant in St. James, to medium sized and small diesel-driven pumping installations serving rural towns and villages across Jamaica. The National Water Commission of Jamaica facilities also include over 10,000 kilometers of pipelines and more than 1,000 kilometers of sewer mains across the island. 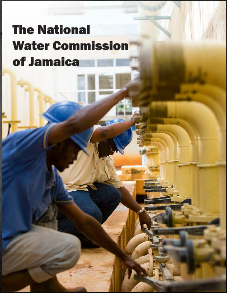 The National Water Commission of Jamaica operates within the policy context of the Government of Jamaica’s goal of universal access to potable water by the year 2025 and the establishment of sewerage systems in all major towns by 2020. This presents a serious challenge for the NWC because proper water supply and wastewater services are highly involved, complex, and costly – particularly in Jamaica where the need to pump water to and from remote areas over hilly terrain incurs very high electricity bills. Check out this handpicked feature on National Properties Limited.